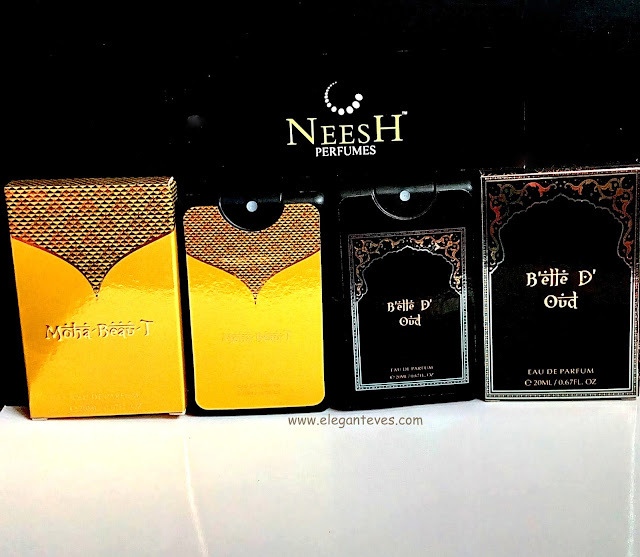 Packaging: The packaging of Neesh perfumes is unlike anything I have come across. 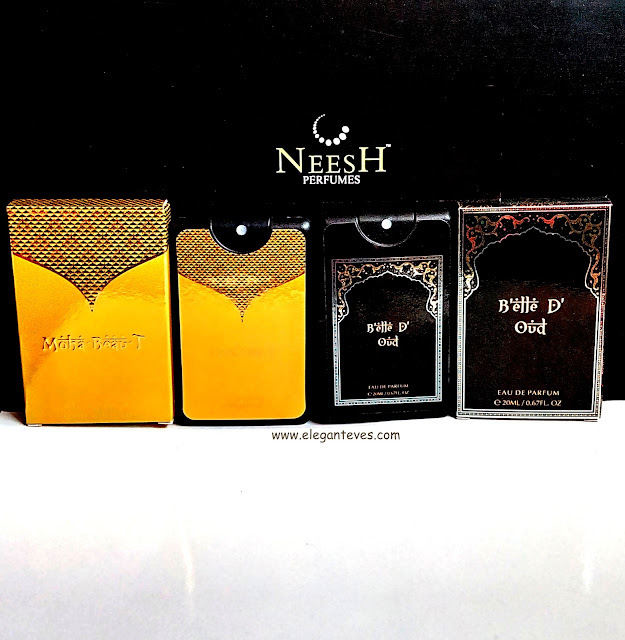 While perfume bottles are mostly bulky which sit pretty on the dresser but are a pain to travel with, Neesh perfumes come in a rectangular flat packaging which easily slips into your pocket :D This makes it super travel friendly. Loved this aspect! 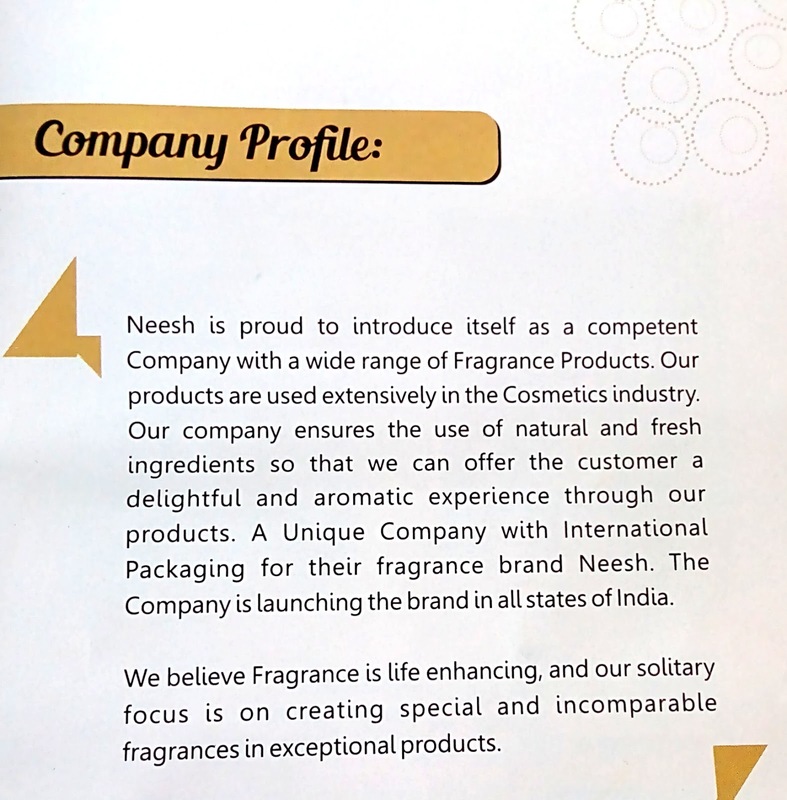 Also, all the perfumes from Neesh have typical oriental designs on them and I personally like it very much. They fit into palm as well. 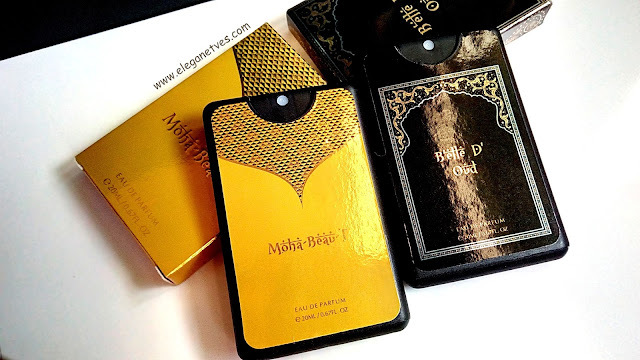 My Take: I was sent the perfumes “Moha Beau T” and “Belle D’ Oud”. 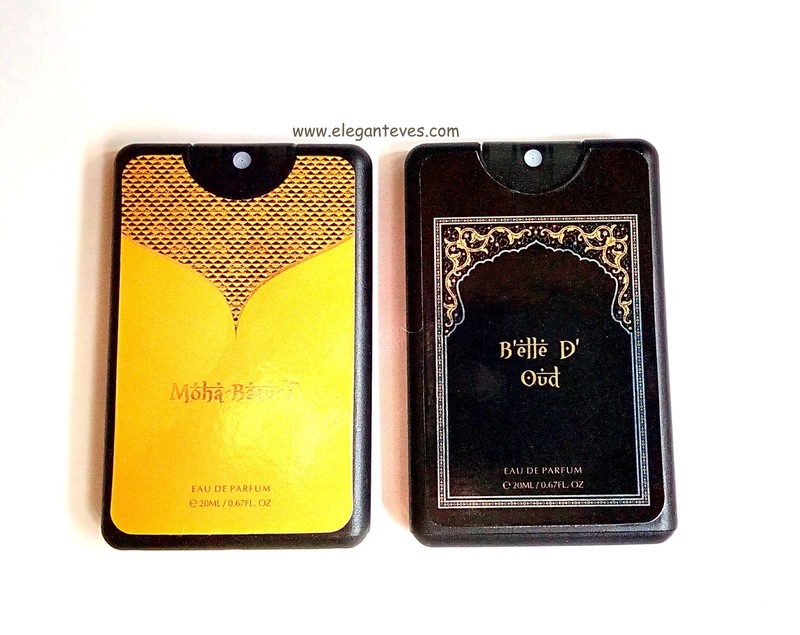 Here are the top and middle notes of both these perfumes. I prefer floral or woody/musky notes in perfume and while “Belle D’ Oud” is musky, “Moha Beau T” is more floral. 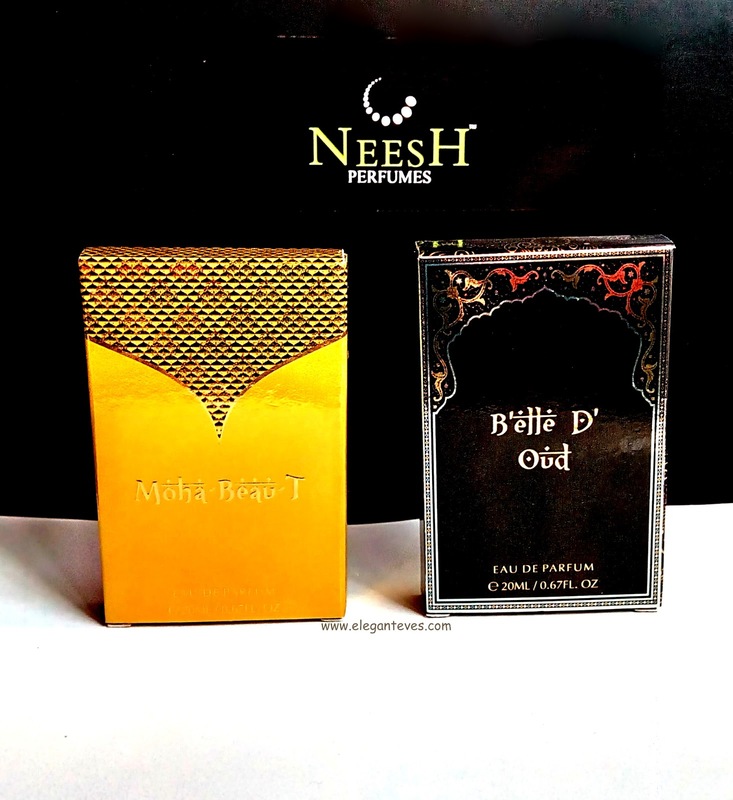 Even though base note of both is musk “Moha Beau T” is a tad milder and my favourite. Just four to five sprays at your pulse point is enough to last a REAL long time! 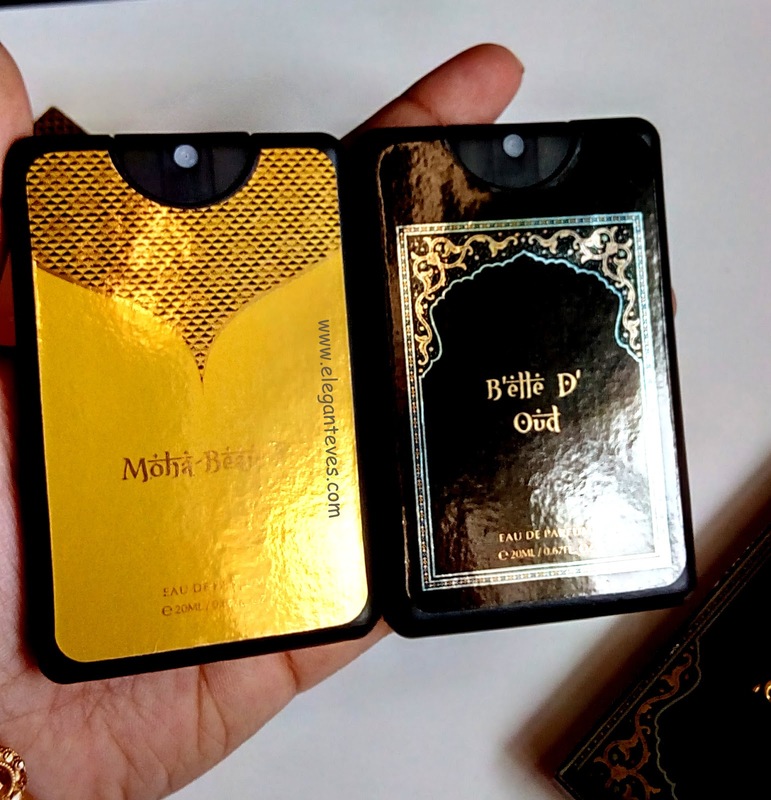 I sprayed “Moha Beau T” on my pulse points and it remained for over 6 hours. 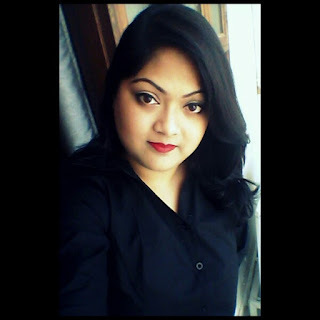 No perfume lasts that long on me! The Neesh range of perfumes have more than 10 or 12 types of fragrances, out of which some are Oud De Venice, Amour De Oud, Eau De Mehfil,Attar-e-nazakat etc. Don’t you like these unique names? J I love them!